Caraselle Direct – Home Accessories Products Bug bands are availale you can buy online.it kills waspos in outdoor areas. Anyone who has been out enjoying the sunshine will realise that wasps (and many other insects) are out and about too! There are many ways to deal with the problem of wasps buzzing around but one of the most effective is a Wasp Trap Bag. 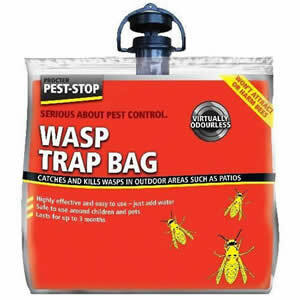 This bag catches & kills wasps in outdoor areas such as patios & decking and being in such a well used area in Summer it is safe to use in places where children and pets are, plus very simple and highly effective! Also of importance to many people – it won’t harm the bees! Will not attract or harm bees! 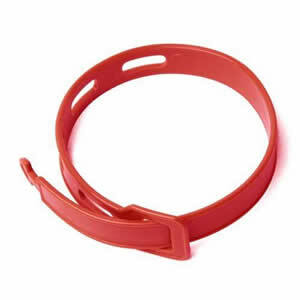 A particularly good insect repellent product to take away with you is the Insect Repelling Wristband. I have used this product before in India, Argentina and Italy and it definitely works for me. I either have no bites or the odd minor one which doesn’t itch. I wear them 24 hours a day and I also use an antimosquito aftersun lotion. I have recommended them to a friend who always gets bitten quite badly and for the first time she has had a bite-free holiday. See the full range of Insect Killers and Pest Control Products to keep your Summer pest free!